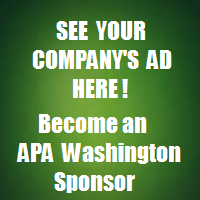 Nominations for APA Washington Board Officers being accepted now through May 15! APA Washington is accepting Nominations for State and Section board leadership positions for the 2017 Annual State Planning Elections. In early 2016, Chapter President Paula Reeves initiated a phone call with the National APA office of the Great Places program and a dozen Planners around Washington State to discuss a State Chapter sponsored program that would be similar to other programs around the country. Teaching people how to live with the natural threat of wildfire. The Planners4Health Washington Chapter provides monthly updates to Paula Reeves. Here is their latest update. Maria sure has had her fair share of fun planning-related experiences! On March 24, 2017, EPA Administrator Pruitt issued an agency-wide memorandum on implementation of Executive Order 13777, which announced members of the required Regulatory Reform Task Force, and directed EPA program offices to seek public input on existing regulations and report findings to the Task Force by May 15.